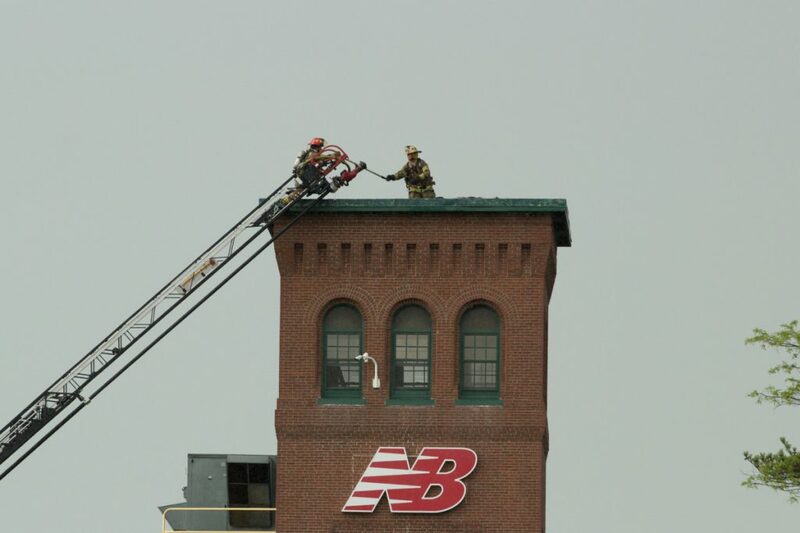 Lightning ignited a fire on the roof of the Skowhegan New Balance plant Friday night, but the fire was quickly extinguished with minimal damage done to the building. 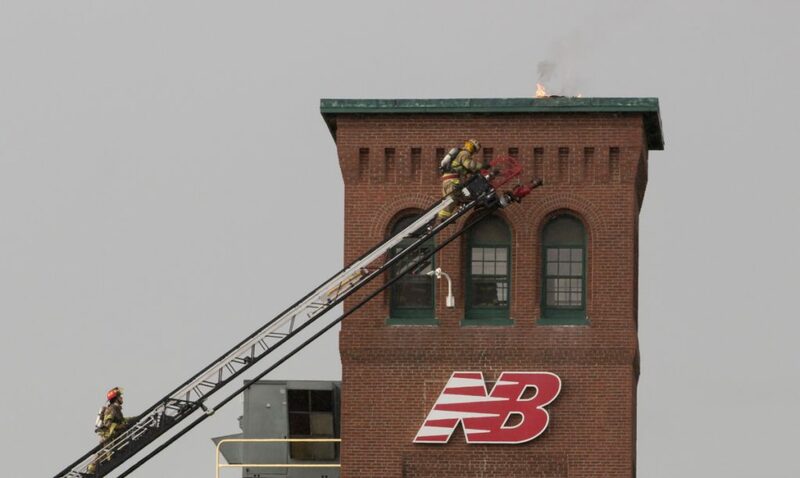 A lightning strike ignited a fire at the Skowhegan New Balance factory Friday night, but firefighters were able to quickly extinguish the flames and limit the amount of damage done to the building, according to the Skowhegan fire chief. The fire was first reported around 6:30 p.m. at the factory on Walnut Street and flames were showing from the roof when firefighters arrived at the scene, Skowhegan Fire Chief Shawn Howard said in an email. Using a ladder truck, the firefighters were able to access the roof and quickly extinguish the fire. Damage was limited to a small area and will not affect operations at the plant, Howard said. Firefighters from Canaan, Madison, Norridgewock, Skowhegan and Waterville responded to the scene, according to a Somerset County dispatcher. The scene was cleared around 8:15 p.m.